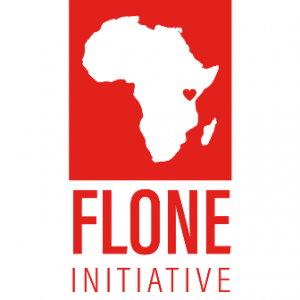 Advocating for safe public spaces for women and girls and ending violence against them in Kenya is the Flone Initiative that has its roots in the East African country’s transportation industry which has been a highly gendered field and “notoriously unsafe for women and other vulnerable groups”. In 2013, what caused national and international outrage were several incidences of public stripping occurring in bus stations around Kenya which were videotaped and posted on the internet. These acts of violence on women led to Flone Initiative’s #MyDressMyChoice campaign which was seen to be a landmark initiative. Consequently, it led to a legislation that makes public stripping a criminal offense which is punishable up to 10 years imprisonment. Mary Mwangi, Programmes Manager, Flone Initiative speaks to Delhi Post about the idea behind the Nairobi-based charitable organisation, the need for women to be able to pursue non-traditional livelihoods and ultimately, the need to bring various stakeholders together, on the sidelines of the recently held First International Conference on Non-Traditional Livelihoods. Delhi Post: Tell us about the transportation industry in Kenya. 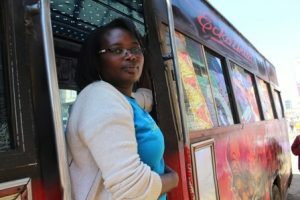 Mary Mwangi: According to our research, 88 per cent of Kenyan commuters surveyed have heard of or witnessed violence against women in the most commonly used form of motorised public transportation – matutus, buses and motorcycle taxis – and over half of them have reported personally experiencing some form of sexual harassment. Not to disregard the fact that public transportation is a male-dominated sector and research shows that women around the world are underrepresented in operational and decision-making public transportation jobs. In Kenya, representation of such women is even lower and obstacles facing their recruitment and professional development are extremely high. Delhi Post: Tell us about Flone Initiative’s programmes. Mary Mwangi: As a women-led organisation, the initiative aims to create safe spaces for women and girls in public spaces as well as workspaces. How we do that is by implementing a project called ‘Usalama wa Uma’. The programme mainly works with drivers and conductors, majority of who are men. We train them to help them be allies of women or our allies in protecting women while using public spaces. We train them on gender equality, prevention of sexual harassment, and on customer service. The programme has so far trained over 600 drivers and conductors in Kenya. The other is the Women in Transportation (WIT) programme that seeks to attract, retain and promote women working in the matutu (minibus) industry in Kenya. The reason why we initiated the programme is to how to create a conducive and a safe and accessible workplace for women in the industry. What we did is to engage them through a needs assessment to understand what it is for a female driver and conductor to work in the Kenyan public transport industry which is often referred to as a mad industry. We do so by offering them capacity building workshops. In addition to their driving skills, we help them build their skills in terms of first aid, in terms of customer service, in terms of identification of what sexual harassment is and how can they be able to respond to such harassment with support systems that are in existence. Report It! Stop It! is Flone’s online crowd mapping platform that allows people to report incidences of sexual harassment that occur in public transportation and in other public spaces. Delhi Post: Do you think voicing concerns can lead to behaviour change and can help end violence against women? Mary Mwangi: We can’t say that we can achieve gender equality without engaging men. Men are an important part of that struggle. There are so many men who believe in the potential of women and we need to work closely with them. After all, the public transportation industry has close to 90 per cent men and only seven per cent women work in the industry. Therefore, there is a strong need to train men or encourage them to see women as colleagues and appreciate them and support them. I have to tell you that these are strong women who have undergone odds to survive in the industry. Often, women in the industry are labelled as easy going women. That is one of the aspects we are trying to change. In 2018, we conducted a workshop on storytelling where we gave the women an opportunity to share their experiences and at the same time, build their storytelling skills and develop a play that was subsequently showcased to members of the public in national theatres. This was one way of educating members of the public and also changing the perceptions of women working in the Nairobi matatu industry. So, definitely, we have a bigger role to play. We need to struggle now so that the industry is better for those who come in the future. Delhi Post: Flone is developing a toolkit for gender sensitivity. What is the idea behind that? Mary Mwangi: The Gender Sensitive Mini-Bus Services and Transport Infrastructure for Africa Cities – Toolkit has been developed for managers of public transport service companies, city officials, civil societies, urban planners among other decision makers with the support of UN Habitat. The toolkit mainly aims at public transport’s service providers to create safe and accessible environment. At the same time, it is not just for public service providers but also for researchers, practitioners, for CSOs and for anyone who would find it helpful in terms of looking for minimum recommendations to be included. We will be implementing the toolkit in three African countries to test it namely, Kenya, Uganda and Tanzania. This is only a way to start an ecosystem where women can feel comfortable working and women can feel that their needs are being considered. It is a long journey, not an easy one especially when it comes to convincing men who are the main stakeholders in the industry. But we hope that we can get support. Delhi Post: Can you throw light on the East Africa Women in Transportation Conference that was initiated recently in November 2018? Mary Mwangi: The first ever Eastern Africa Women in Transportation Conference 2018 brought together women across Eastern Africa as drivers and conductors. The aim was to create a network where women get encouraged seeing that what one goes through is not only a local issue but a global one. There are people who are doing research as to women’s issues in transportation. There are initiatives that we can borrow from on how to thrive in an industry that is male-dominated. At the same time, talking to policy makers to help them understand what it is for a female driver and conductor to work in the industry help them participate in making policies that address women’s issues whenever they have an opportunity to do so is highlighted. We are hoping that the conference will be an annual event, and that in 2019, we will be able to take it to another African country as a way of creating a network where people can get support, inspiration and can know that it is not a lone struggle.